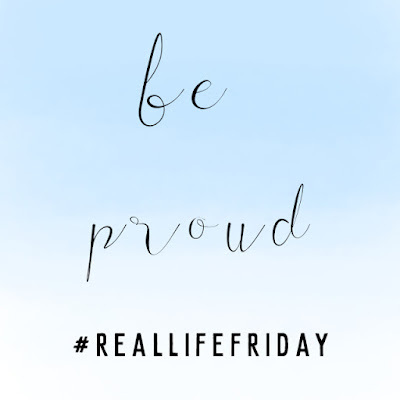 Keeping it real doesn't mean I have to confess to negative things every Friday. Today I am proud of myself and I wanted to share it. See this week, I took the car, took my son, strapped him in his car seat, and drove. Two short drives and back, during the day when the roads are not too busy. Really nothing, for most of you. But if you've read my last #RealLifeFriday post, you know how scared I was to drive our standard car. But I pushed myself, and I did it. I was safe, of course. I only did it because I knew I was capable. This was a huge accomplishment for me, and while I know I still have a long way to go before I can drive my car around without fear, I am incredibly proud.